The U.S. Sustainable Land Imaging (SLI) program will enable the development of a multi-decade, spaceborne system that will provide users worldwide with high-quality, global, land-imaging measurements that are compatible with the existing 44-year Landsat data record. Landsat 9 is the latest satellite in the Landsat series—it will continue Landsat’s irreplaceable record of Earth’s land surface upon its 2020 launch. To reduce the build time and a risk of a gap in observations, Landsat 9 will largely replicate its predecessor Landsat 8. Both instruments have sensors with moderate spatial resolution—15 m (49 ft), 30 m (98 ft), and 100 m (328 ft) depending on spectral band—and the ability to detect the same range in intensity as Landsat 8, or better. Landsat 9 will be placed in an orbit that it is eight days out of phase with Landsat 8 to increase temporal coverage of observations. 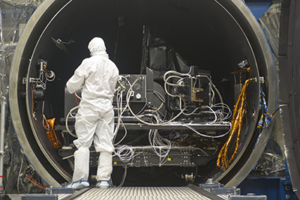 OLI-2 will capture observations of the planet in visible, near infrared and shortwave-infrared light. OLI-2 is being built by Ball Aerospace in Boulder, Colorado. OLI-2 will be substantially the same as the Landsat 8 OLI. TIRS-2 will measure the thermal infrared radiation, or heat (brightness temperature), of Earth’s surfaces. The instrument is being built at NASA Goddard Space Flight Center in Greenbelt, Maryland. 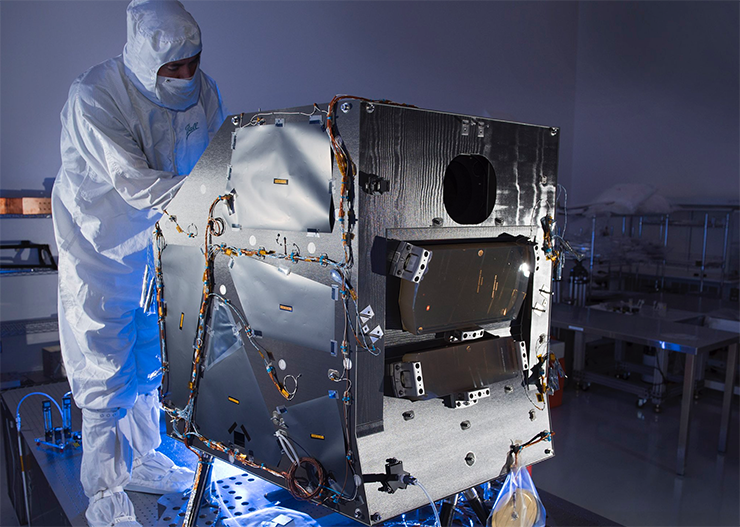 TIRS-2 will provide an upgraded version of the Landsat 8 TIRS instrument, by improving reliability and correcting known issues with stray light. Northrop Grumman will design and fabricate the Landsat 9 spacecraft, integrate the mission’s two government-furnished instruments, and conduct satellite-level testing, in-orbit satellite checkout, and mission operations support. The work will be performed at the contractor’s facilities and at the launch site at Vandenberg Air Force Base in California. Landsat 9 will extend our ability to measure changes on the global land surface at a scale where we can separate human and natural causes of change. When land use and resource availability issues arise, Landsat 9 will help decision makers make informed management decisions. Landsat 9 will thus contribute a critical component to the international strategy for monitoring the health and state of the Earth. With increased activity in international and commercial remote sensing, Landsat has emerged as a cornerstone of the global constellation of imagers. The science quality of the Landsat archive, including careful calibration, allows it to serve as a “gold standard” for studies harmonizing multiple sources of satellite imagery. + tropical deforestation and global forest dynamics: the Landsat archive provides an impartial and unbiased record of Earth’s forests for world governments and resource organizations to verify claims of environmental protection and carbon storage. + urban expansion: the Landsat record helps us visualize the impact of humankind’s convergence on urban centers and to understand the environmental consequences. + water use: Landsat 9 will be an invaluable tool for managing water in areas such as the Western U.S. where water is scarce and water usage between agriculture, industry, and residential needs is very competitive. 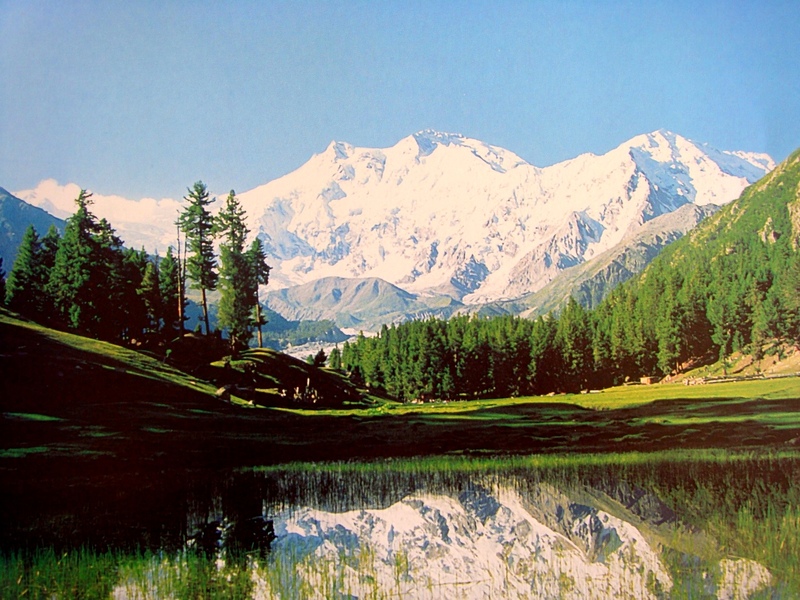 + glacier and ice-shelf retreat: the Landsat archive chronicles changes to 98 percent of Earth’s glaciers, and Landsat 9 will continue monitoring them into the future. + natural and man-made disasters: Landsat data are regularly used as part of the International Disaster Charter, mapping disaster impacts to save lives. + climate change: Landsat data provide a direct view of how almost five decades of climate change have affected Earth’s surface and biology.